: Phyllis Diller’s brand of comedy is as timeless today as it was in the 1960s, when she became a regular on popular variety and talk shows. From her outrageous costumes to wildly teased hair, Diller was a pioneer among female comediennes, paving the way for future stars. Who can forget her hilarious housekeeping and marriage tips, her beleaguered husband Fang, her cackling laugh and self-deprecating sense of humor? 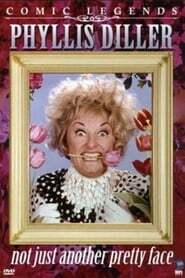 Phyllis Diller: Not Just Another Pretty Face highlights some of her best routines. Special guest stars such as Don Rickles and Dean Martin make this a fun trip back in time.